A veteran nonprofit executive with deep experience in Philadelphia’s education and non-profit communities has been selected to serve as the new Executive Director for the Philadelphia Outward Bound School, a non-profit experiential education organization that serves youths through experiential learning expeditions that inspire character development, self-discovery and service. Wise succeeds Katie Newsom Pastuszek, who is taking a leadership position at Outward Bound USA and will continue to be based in Philadelphia. 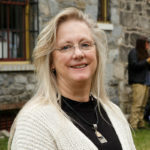 Meg Wise comes to the Philadelphia Outward Bound School after serving seven years as Executive Director of Smith Memorial Playground and Playhouse. Philadelphia Outward Bound School’s Board of Trustees, which conducted a national search, was particularly impressed by her track record running the beloved 118-year-old historic resource located in East Fairmount Park. During her tenure, Wise, who came to Philadelphia in 1991 to attend graduate school at the University of Pennsylvania, transformed Smith. In just a few years, she doubled the organization’s staff size, budget resources, audience and representation from nearby North Philadelphia neighborhoods. She has also launched a $13.5 million capital campaign to restore and expand Smith’s facilities. The Philadelphia Outward Bound School’s new headquarters at The Discovery Center, which is set to open in the fall, is located across the street from Smith. Philadelphia Outward Bound School hopes Wise will deepen ties between Outward Bound and other cultural and educational institutions in Fairmount Park. With a full-time staff of 14 and with more than 60 field instructors, the Philadelphia Outward Bound School now serves 6,000 students annually, including more than 70 percent from Philadelphia, providing programs that develop leadership and problem-solving capabilities by exposing middle and high schoolers to unique outdoor experiences through wilderness expeditions. The organization was founded in 1992 by a small group of Philadelphia leaders, including former Mayor Michael Nutter, Thomas S. Greenwood, Jr., and longtime community advocate Nancy Goldenberg, who sought to expand opportunities for Philadelphia-area youth to learn in outdoors settings and grow as leaders. When Wise begins her work at the Philadelphia Outward Bound School in September, she will be building on a strong foundation laid by outgoing Executive Director Katie Newsom Pastuszek. Newsom Pastuszek was hired as Philadelphia Outward Bound School’s first full-time staff member and has been integral to positioning the organization as a regional and national leader. During her 20-year tenure, Newsom Pastuszek forged a groundbreaking partnership with the School District of Philadelphia, providing leadership and character development opportunities for high schoolers across the city. This partnership was recently expanded, and Philadelphia Outward Bound School began working last year with Ninth Grade Academy schools located in some of the city’s most underserved communities. In September the organization will celebrate the opening of The Discovery Center, the fulfillment of a years-long effort, led by Newsom Pastuszek, to construct a new home that meets Philadelphia Outward Bound School’s growing needs. The Discovery Center is the beginning of a new partnership with the National Audubon Society that will enable both organizations to enhance their program offerings while opening up a previously closed section of Fairmount Park to the community. Though Newsom Pastuszek has left Philadelphia Outward Bound School, she’s not going far. Newsom Pastuszek assumed a new role as Chief Advancement Officer at Outward Bound USA in July and continues to be based in Philadelphia. The Philadelphia Outward Bound School’s mission is to change lives through challenge and discovery. Outward Bound is the premier, experience-based educational organization focused on character development, leadership skills and service to community. As part of a national network of 11 Outward Bound schools, Philadelphia Outward Bound School provides students of all ages and circumstances with learning experiences that build their strength of character and the determination they need to thrive – in the classroom, in the workplace, in the family and in the world. Today, the Philadelphia Outward Bound School, serves more than 6,000 students, teachers, partners, and adults each year and is fully accredited by the Association for Experiential Education. Philadelphia Outward Bound School provides an impressive array of courses and programs for youth and adults in Philadelphia and across the region in Pennsylvania, New Jersey and Delaware. For more information, visit www.outwardboundphiladelphia.org.